All originals must be marked with the campaign name, week and design designation (A, B, C etc.). 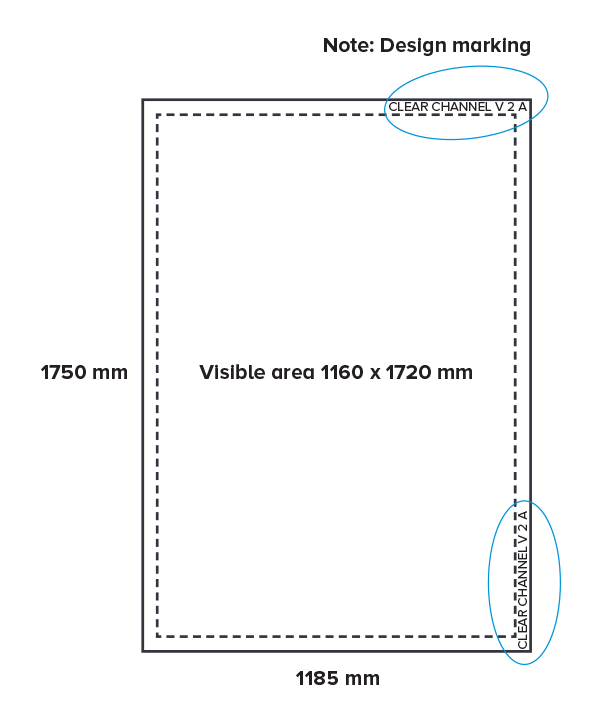 Place the marking in the space between the print area and the visible area in two positions: vertically in the top right and horizontally in the bottom right (see diagram). Write the marking in uppercase and so that the text is around 1 cm high at full size. 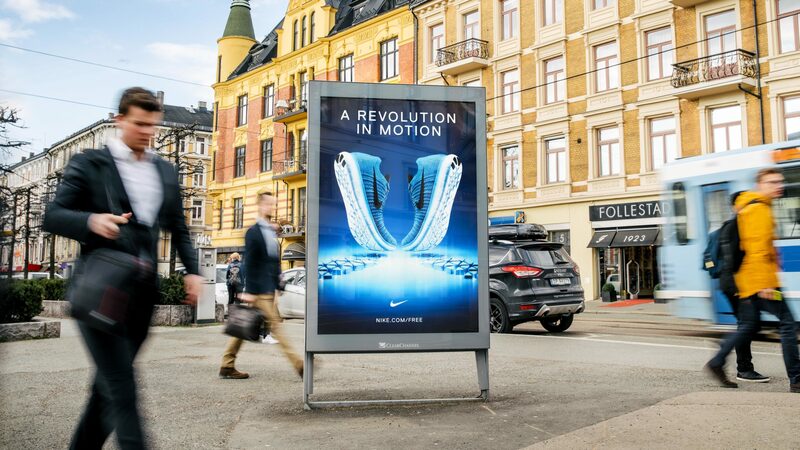 You can print through Clear Channel even if your campaign also goes with other media companies or in other countries. Deliveries after the stated date, incorrectly delivered material, incorrect marking or lack of campaign information may incur an extra cost for the Client and could delay posting. For deviations from the terms, written agreement must be reached between the Client placing the order and Clear Channel Norway.